Every year at Promise Clinic we are excited to see our Student Doctors and Steering Committee Members inducted into The Gold Humanism Honor Society. This society recognizes and honors those students who are felt by their peers to be exemplars of excellence in compassionate, care-giving empathy in the context of medical practice. Given Promise Clinic's commitment to serving the New Brunswick Community and teaching fellow medical students, it's no surprise that some of our Promise Clinic team members are inducted every year! 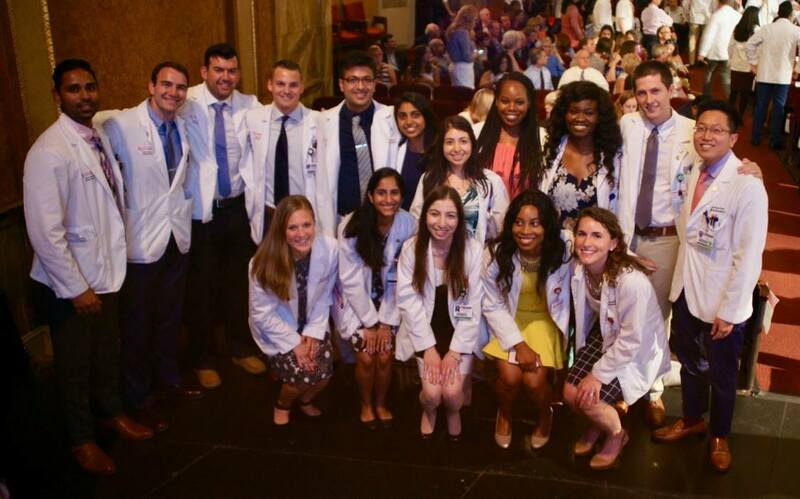 Congratulations to Student Doctors Jessica Ace, Monica Agarwal, Akanksha Arya, Vatsal Bhatt, Gregory Brodym Niall Buckley, Melroy D'Souza, John Dutton, Marissa Falkiewicz, Oby Ibe, Sang Hoon Kim, and Aria Mahtabfar! Also, our Steering Committee Member Devon O'Brien-- as well as so many of the people from above who are part of our Steering Committee too!